Route. 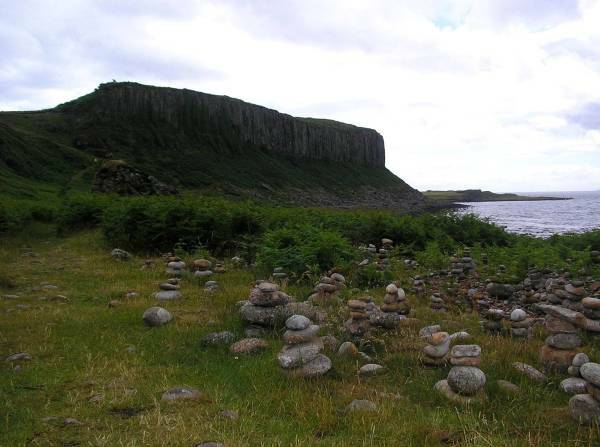 Blackwaterfoot - DrumadoonPoint - The Doon - Cleiteadh nan Sgarbh - King's Cave - Cleiteadh nan Sgarbh - The Doon - Standing Stones - Blackwaterfoot. Notes. 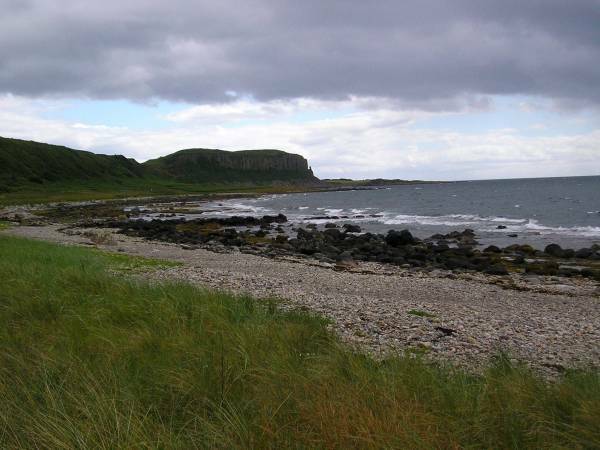 The King's Cave, another easy coastal walk, the route started from Blackwaterfoot negotiating the bunkers of the Shiskine Golf Course, before taking to well trod field paths on route to The Doon, another ancient hill fort, after The Doon the path dropped steeply to the shore, eyes peeled for basking sharks and otters, it's a favorite place to spot them, not for us. 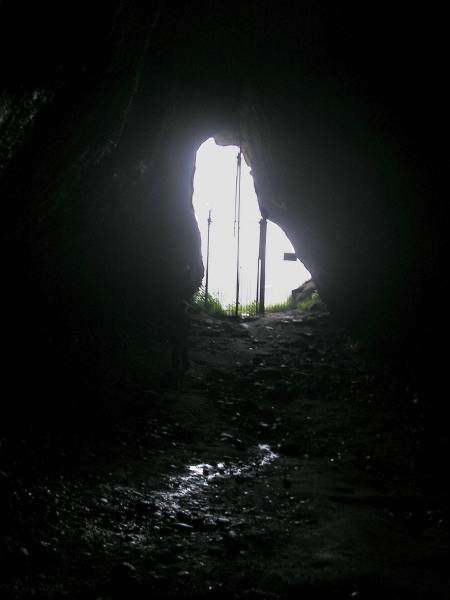 The caves were soon reached, three spectacular caves honed out of the cliff face by the movement of water around 6,000 years ago, The King's Cave isn't hard to spot, it's the one with the iron work blocking the entrance, nowadays the gate is left open, there are three routes back from the caves, two enter the heavily wooded slopes of Torr Righ Beag with no views, we opted to walk back along the shore under the cliffs of The Doon to reach Drumadoon Point, avoiding the golf balls we finished the day strolling along the beach. 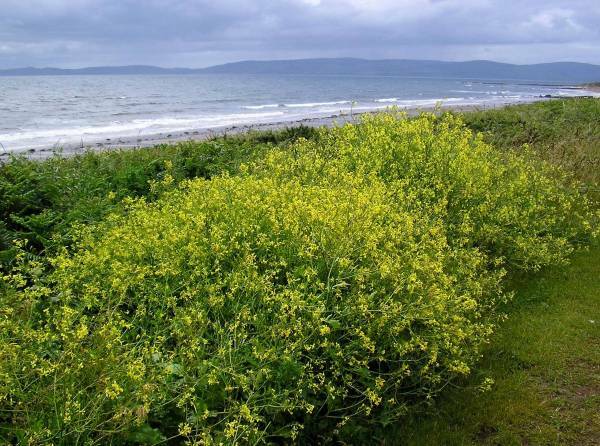 Strolling along the coast avoiding stray golf balls, looking to the hills of Kintyre. 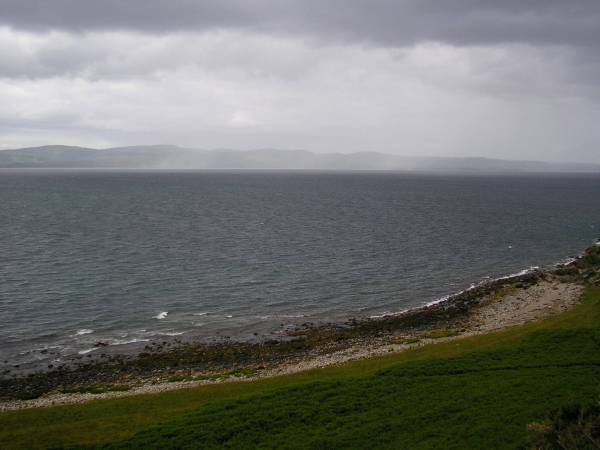 A storm sweeps across Kilbrannan Sound. Looking to the cliffs of The Doon another hill fort. 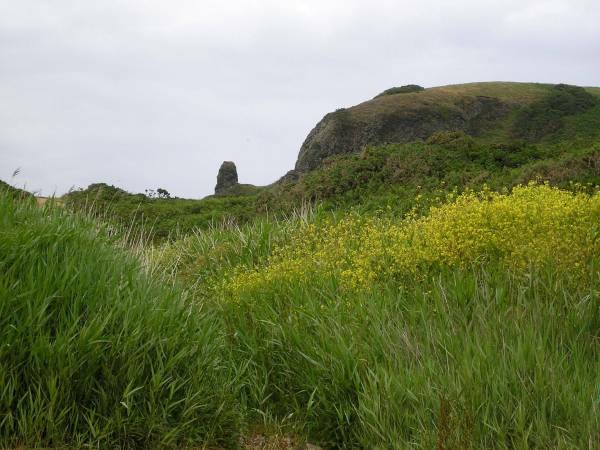 Looking to The Doon, supposebly this rocky beach is one of the best places to see the elusive Sea Otter. 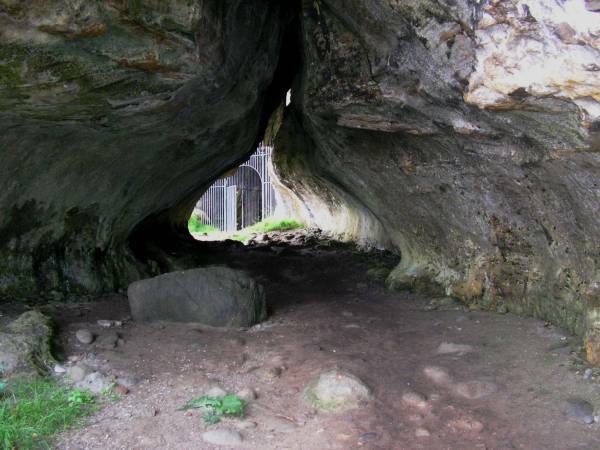 The King's Cave cut deep into the limestone cliffs of Drumadoon. 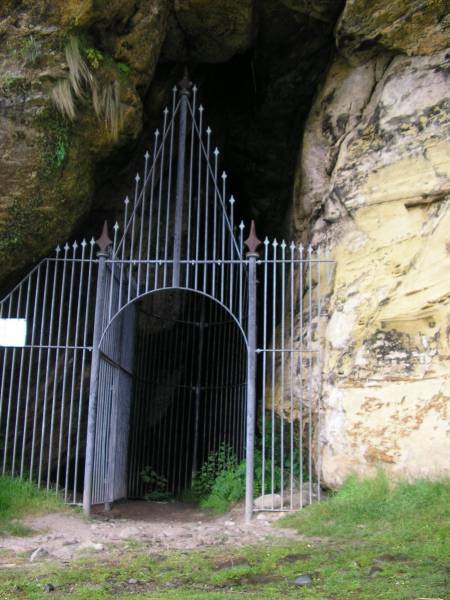 The entrance to the King's Cave, the gate was erected to prevent vandalism, on the walls can be found delicate Christian and pre-Christian carvings. Nowadays the gate is usually left open but you are asked to take care and not damage the carvings. 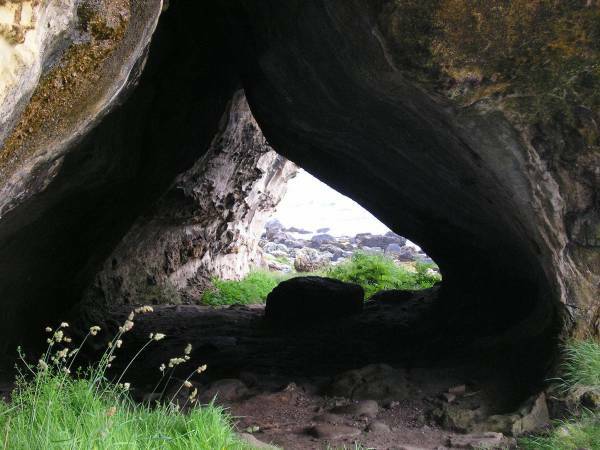 Exiting the King's Cave, there are three large caverns on this small limestone headland, all carved out by the sea over 6,000 years ago. 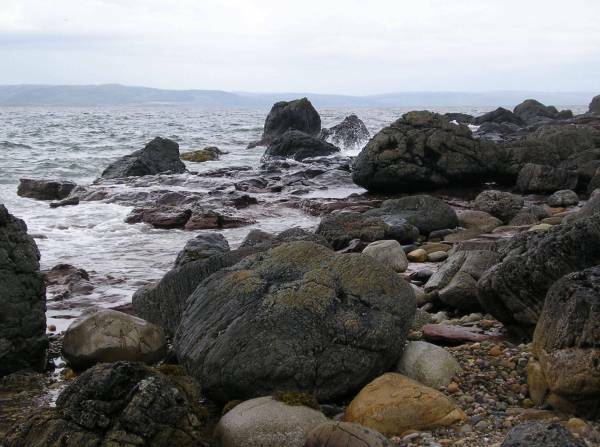 From the boulder strewn beach near The King's Cave views across Kilbrannan Sound. 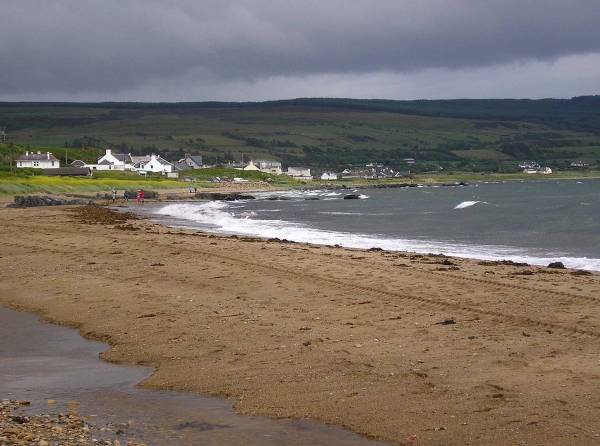 Beach combing with views to the small settlement of Blackwaterfoot. Looking to an ancient sea stack, to it's right The Doon.